Concept Laser has opened a new R&D centre to expand testing capacity and develop specialised equipment for the company’s LaserCusing laser additive manufacturing technology. The development centre will enable Concept Laser to increase its capabilities in order to accommodate the increased global demand for generative part manufacturing. The LaserCusing process is used to generate components layer-by-layer for the jewellery, medical, dental, automotive and aerospace sectors. For this, pulverised metal is fused using a high-energy fibre laser, which solidifies after cooling. The laser beam is then directed with a mirror deflection unit (scanner) to achieve component contour. Construction takes place layer by layer (with each layer measuring 15 to 100µm thick) by lowering the bottom surface of the construction space, then applying and fusing more powder. 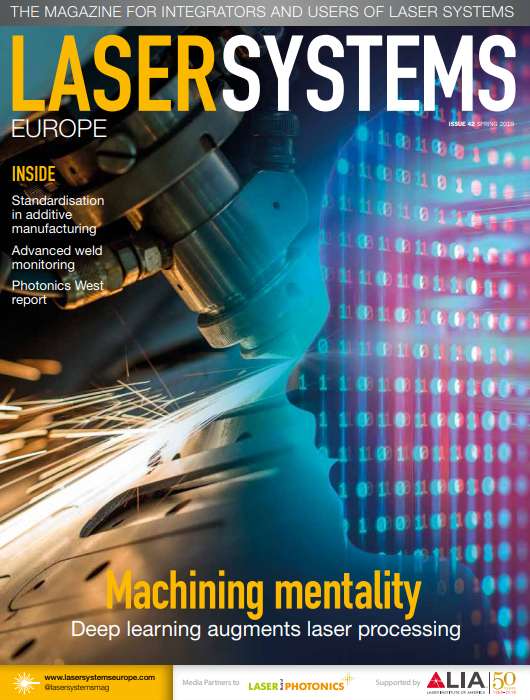 Application areas in medical engineering, turbine engineering and the automotive industry are undergoing a paradigm shift away from technology with fixed forms, and moving towards generative 3D printing processes on an industrial level, according to Concept Laser. The new centre will provide functionalities to further develop the LaserCusing process into sustainable, environmentally friendly production to meet the growing market’s expectations. For development engineers, the centre offers an optimal platform for the development of new systems, such as the recent LaserCusing System X line 1000R. Cooperation between students and doctoral candidates will be increased, and engineers will be able to work in closer contact so that tests can be carried out more rapidly with improved dissemination of results. Moreover, there will be increased networking among the fields of optical systems, design, control technology and software development. ‘The approximate ten "temporary" employees per year can now work in the right atmosphere. It allows the various project participants to get to know us and decide to stay with us,’ explained Dr Ing Florian Bechmann, head of development at Concept Laser. The decision to concentrate technical expertise in a central location was also motivated by the increase in customer-specific solutions, which are usually subject to confidentiality. These sensitive projects arise from intensive customer relationships and will be decoupled from the ‘normal operations’ of the development centre. ‘This will allow discrete innovations to be developed in the necessary seclusion and depth,’ said Bechmann. The redesigned development laboratory now houses a larger metallography laboratory and materials testing area. This supports the growing trend of customers formulating special, application-specific requests related to the powder materials being used. ‘These requirements relate to every facet of the areas of process design, quality assurance and safety, especially for reactive materials,’ said Bechmann. Concept Laser intends to further expand its expertise in the area of materials and materials certification.